This last weekend was a well-deserved break from the craziness that was work. Though this week has been slower; still crazy. With classes starting this week and most of last week spent lone wolfing it at work. Dealing with all the pre class roundup can make for a very stressful week. People for some reason forget how things work. Then they panic and freak out to the point where sometimes they can be downright rude and condescending. When I got home Friday the repairmen installing the new AC/furnace was there and did not leave until 10:30pm I didn’t mind so much because we had cool air running through the house once again. Saturday was spent mostly gaming or watching YouTube. 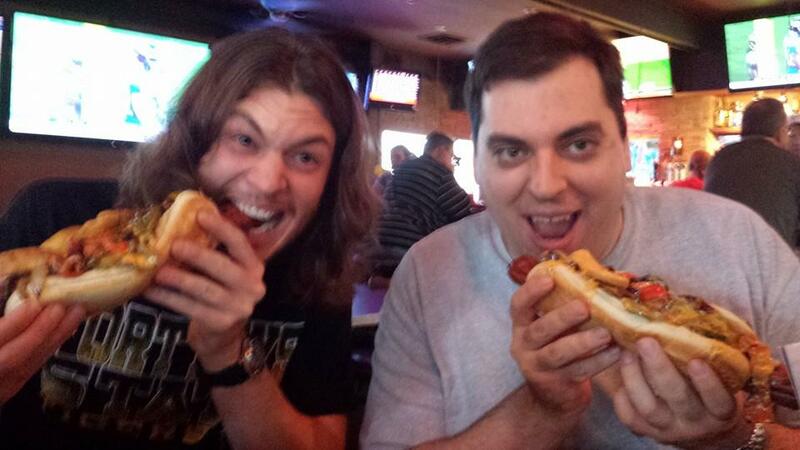 Saturday evening we went to speakeasy and had crazy hot dogs. Now when you think hotdog most of us think of the 99 cent pack of hotdogs you get from the store so paying 8 bucks for one seems very ridiculous. We were in for a surprise. 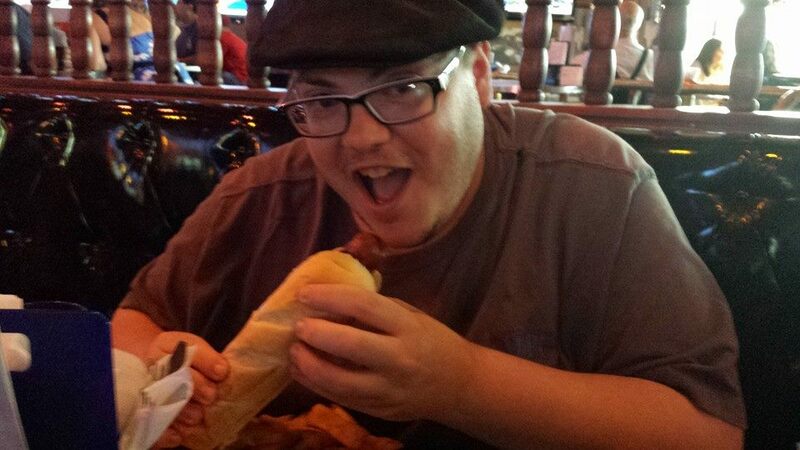 I had a bacon wrapped hotdog and steak fries. 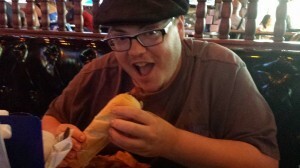 The hotdog was HUGE a footlong and close to an inch in diameter and it was delicious. Matt and Steve had the junkyard dog it was the same hotdog covered in philly cheesesteak goodness. It was a good time and a needed get away from all things life. Sunday I slept in way too late because I was up till 3 am the previous night. 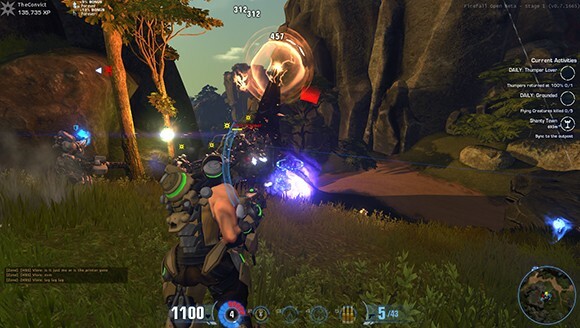 I was gaming with some friends online playing Firefall is a science fiction free-to-play massive multiplayer online open world shooter. The Firefall is an event that takes place in 2178 after an asteroid predicted to be a near miss gets caught in the Moon’s gravity well and crashes into Earth. Before impact, the asteroid shatters, resulting in thousands of impact events. The Firefall plummets mankind into a dark age known as the Nine Year Winter and many large governments collapse. During the new dark age, scientists discover a new substance called Crystite from the fallen asteroid fragments. Found to be a powerful energy source, Crystite fuels the reconstruction and a new golden age of mankind. Despite the seemingly unlimited potential of Crystite, mankind wanted more and followed the trajectory of the Asteroid to Alpha Prime. With the first massive loads of Crystite arriving from Alpha Prime, the governments of Earth, unified under the banner of The Accord, began construction of the Arclight, a warship that achieves faster-than-light travel by folding space in a process known as Arcfolding. The purpose of the Arclight was to prevent a potential revolt on Alpha Prime that would bring Earth to its knees due to mankind’s reliance on Crystite. As the Arclight began its first attempt at faster-than-light travel in 2233, its large engines rips a hole in space that allows the Melding, an extra-dimensional energy storm, to emerge. Unable to complete the Arcfold, the Arclight crashes outside of Fortaleza, Brazil. The Melding engulfs most of Earth with the exception of the area surrounding the still running wreckage of the Arclight. The playable story takes place four years after the Arclight’s attempt to fold space. Back to Sunday well I didn’t actually wake up until 1 pm I didn’t mean to sleep in that late but it happened and I had nowhere to be. I gamed then went to bed at a more normal time. Now it is Wednesday and the week is almost over.